We are all too familiar with the devastating impacts of drunk driving. 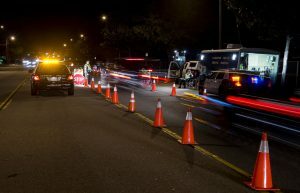 DUI collisions expose drunk drivers to lawsuits for victims’ injuries or death. But “dram shop” laws in Pennsylvania also allow drunk driving victims, or their families, to hold bars, taverns, and alcohol retailers accountable for the injuries and deaths caused by serving alcohol to intoxicated customer. Jardine v. Upper Darby Lodges, 413 Pa. 626 (1964) (emphasis supplied). The Pennsylvania Supreme Court decision in Jardine has been cited by at least 18 jurisdictions around the country as recognizing a common law cause of action against a liquor licensees for injuries caused by an intoxicated customer. In these cases, evidence includes blood alcohol content, autopsy reports, coroner reports, criminal and police investigations, videotapes, bar records, receipts, credit card receipts, witness statements, incident reports, customer complaints, and other items. If you or a family member has been the victim of a drunk driver who has been over-served at a bar or restaurant — see a lawyer before you sign any papers. A skilled attorney who handles these cases will evaluate the evidence and help you make a determination as to whether there has been a violation of Pennsylvania’s “dram shop” law. At O’Donnell Law Offices, our goal is to make sure you receive financial support for all types of medical expenses, including pain and suffering. We will guide you through the complex nature of liability and communicate with insurance companies, all while giving you the personal attention you deserve. Schedule a free initial consultation with O’Donnell Law Offices. There is no fee or costs until we win your case.